The ELEAGUE Street Fighter V Invitational moves into the third week the $250,000 competition, with Group C taking place at 3 p.m. ET Friday on Twitch, with coverage on TBS at 11 p.m. Ahead of the group, Du “NuckleDu” Dang, Justin “JWong” Wong, Bryant “Smug” Huggin, Thomas “Brolynho” Proença, Darryl “Snake Eyez” Lewis and first timer to ELEAGUE Benjamin “Problem X” Simon shared their thoughts on the competition, the top tiers in the game, American competition and more. The competitors at ELEAGUE largely see this event as a great place for competition, agreeing that a lot of the volatility of Street Fighter V can be kept in check by the ability to prepare ahead of time for opponents. In comparison to other big open bracket events like Evo, 2016 Capcom Cup Champion NuckleDu said, "The randomness is taken out. With invitationals, you have prep time." Sometimes you just can't overcome the nerves. Problem X is in ELEAGUE for the first time but is no stranger to invitationals. As the final European in the tournament, he has tasked himself with ending the European curse. When asked if he received any advice from Luffy and Phenom coming into the tournament, he acknowledged that he gets advice from the two players all the time. He also said that he approaches the tournament as an endurance test and that the competition, "may have a better idea of the pacing of the tournament. That's the only disadvantage." Randomness might play a part in ​Street Fighter V overall, but it had no place in who these players felt was going to be the big threats in the group. Justin Wong and NuckleDu were the top two answers for who players felt would give them problems, and the answers were in large part because of Menat and Guile, two of the characters considered top tier in the game. 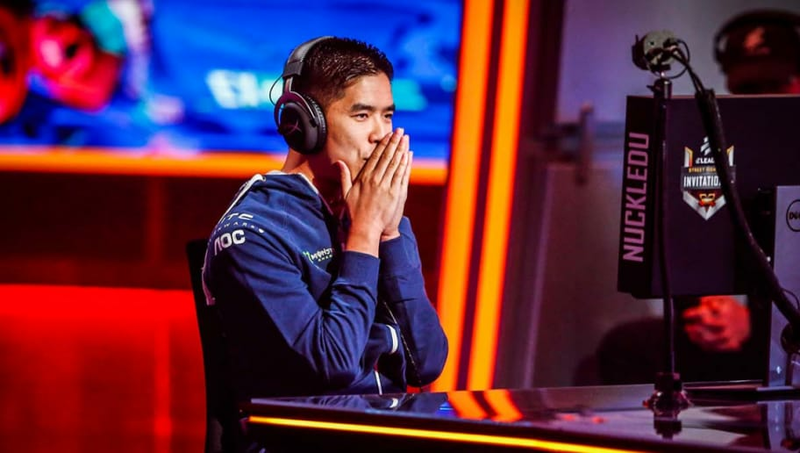 Many of the players said Guile is an easier character to play competitively, with Problem X going as far as saying, "Just play Guile and forget everyone else," and NuckleDu, who plays Guile, jokingly replying, "I just want to say don't listen to anything Problem X is saying." Menat, on the other hand, drew the highest level of criticism from the group. The players made sure to let it be known that Menat's lack of a hitbox on a number of her far-reaching normals, her V-Trigger and the ability to utilize that comeback mechanic often in a match makes her broken. Legendary player Justin Wong, who uses Menat, raised the question of why the character was catching heat after he started playing her and defended his character choice by simply stating, "I'm just using what Capcom gave us." ELEAGUE Group C is filled with American talent with NuckleDu, Justin Wong, Smug and Snake Eyez all representing the US in the group. America players have not been as competitive on the Capcom Pro Tour this year and they were in agreement that the level of competition isn't up to where it should be. "I kind of feel like there's less unity because of the whole trying to download players thing," Snake Eyez said. Justin Wong also shared a similar sentiment, saying "I think the level is pretty bad. Since there’s so much opportunity, no one wants to share information." Opinions about the game and the scene aside, the players understand that the opportunity is a big chance for them outside of just the prize pool. Smug and Brolynho let their personality and gameplay shine at the ELEAGUE SFV Invitational last year and both acknowledge that its important to show yourself. Smug was quick to say, "Personality plays a big role in your gameplay, people will like you more if your funny or whatever your personality is." Brolynho added, "I think personality is important, but my personality is just me. I don't try to do it for show." All signs are pointing to Justin and NuckleDu having a big showing at ELEAGUE, but Smug left the group with a parting thought all the players can take with them throughout their careers. When asked about what he could take from the experience of ELEAGUE whether he wins or loses, Smug replied, "I can learn something from my losses .There's always something to learn."